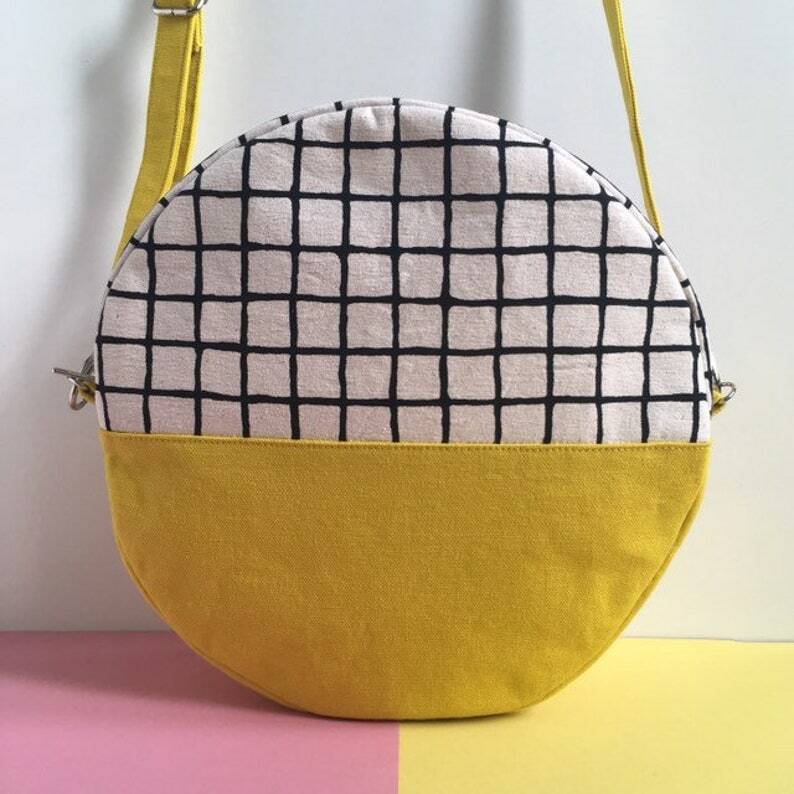 This round shaped crossbody bag features my original hand drawn grid pattern screen printed onto medium weight natural cotton canvas with eco friendly water based ink. The print is contrasted with bright yellow canvas on the bottom half of the bag. The bag is fully interfaced and interlined with cotton fleece to maintain its shape. Inside the bag is fully lined with matching hand printed cotton fabric and has a patch pocket. On its back it features a large secure zip pocket for your phones, keys etc. for easy access while still secure. The bag comes with detachable and adjustable straps made from the matching bright yellow canvas. Please have a look at my shop for different colours and patterns of this design and many others!